Welcome Placer Wine Tours, Placer’s custom wine tour specialists. 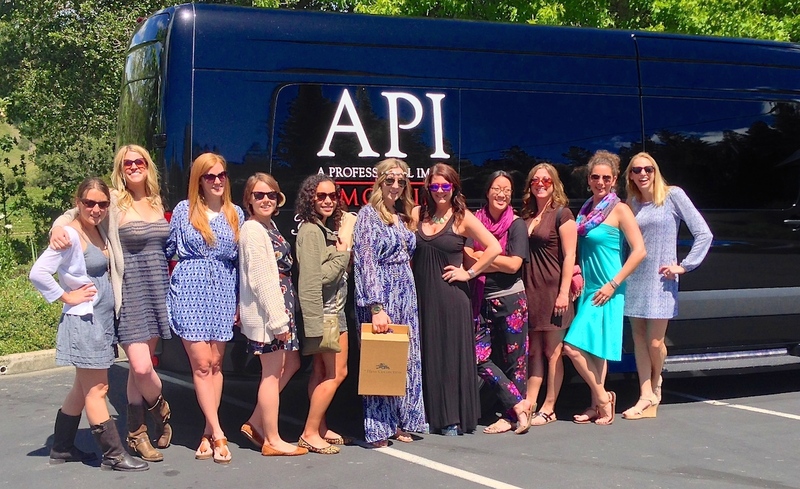 API offers customized wine Placer County wine tours. We will help you create a memorable and unique wine tasting experience and deliver you with elegance, safety, and sophistication. Our full service staff and knowledgeable chauffeurs will ensure that your experience is one of a kind. Explore Placer county with your own customized limousine wine tour. With over 20 wineries open to the public, the Placer wine trail offers you many different tasting opportunities. Small family-run boutique, there wineries are dedicated to providing guests with extraordinary wines and memorable tasting experiences at the wineries in Placer County. 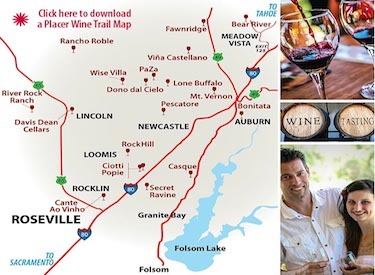 The Placer County Wine Trail is a rustic wine escape within a stone’s throw to city life. With a diverse collection of boutique wineries in the Auburn, Lincoln, Loomis, Newcastle, Rocklin circle and Meadow Vista, our winemakers are here for a warm greeting and are eager to share the knowledge and passion of their craft and award-winning appellation with all levels of enthusiasts. Fall in love with the beauty and bounty with a day or weekend trip to Placer County wineries. Placer Wine Tours provides the luxury wine tours to wineries in Placer County. With 20 wineries and counting, Placer County re-embraces its heritage as a viable California wine-producing region. Placer County wineries, classified with the “Sierra Foothills” appellation, offer a refreshing change from the more commercialized and less personal wine tasting experiences of larger wine regions. Most Placer wineries are family-owned and operated, have small vineyards and the winemakers themselves are part of the charm, making Placer County a newly sought-after destination for a more personalized and unique wine-tasting experience at the Placer wineries. Placer County’s Mediterranean-like warm days and cool nights comprise an ideal climate for producing superior wine grapes similar to those of France’s Rhone Valley. The result is wine that is dense with ripe fruit and plentiful in structure. You’ll find everything from traditional Rhone-varietals like Syrah, Petite Sirah and Viognier to the Spanish Tempranillo, the Italian Barbera and those California favorites like Zinfandel, Cabernet Sauvignon and Cabernet Franc. Contact us today to reserve your custom Placer County Wine Tour.